If you have been a loyal reader, you know the concern that weighs on my mind about starting a new school year. In first grade, my TBP was not comfortable with school until almost February. He sabotaged himself almost daily, so that he could escape the classroom and draw pictures or read books in the office. Last year, the transition was difficult, but shorter and he was comfortable with school and his teacher in November. We were hopeful that there was a pattern of improvement, but worried about this year’s transition into third grade. On Friday, my son brought home a “Weekly Report.” The teacher had the students assess their own progress and then she wrote her own thoughts about the week. As a teacher, I was impressed by these reports. I know how much time they must take. As a mother, I appreciated seeing where he was doing well, where he could improve, and what specific papers were missing. I was struck by a couple of things about this report. I noticed that my son and teacher agreed where he did well and where he could improve and on the bottom of the note, she wrote an encouraging message. On a larger level, this report was meaningful because it showed that my son’s teacher could see his strengths beyond his struggles. This has not always been our experience. As a family, we celebrated the report! Today, we pushed our luck a bit and I was concern about the possible outcome. 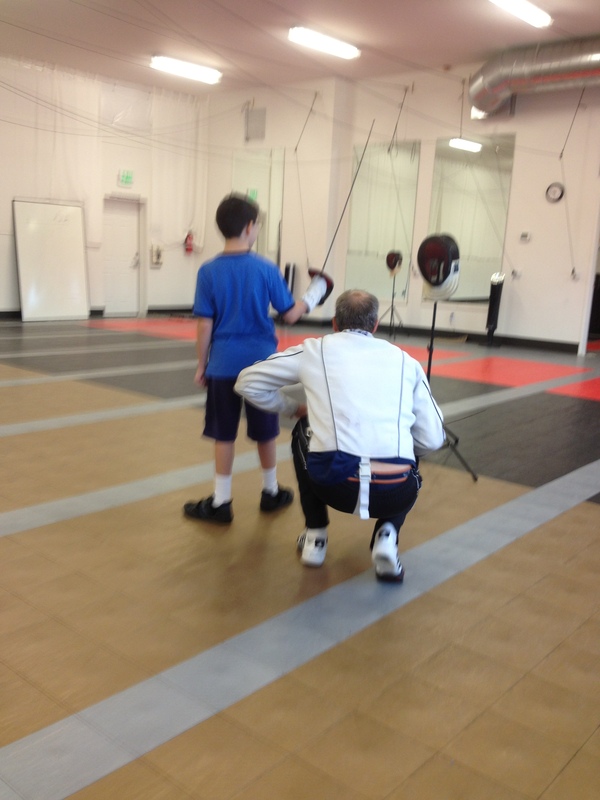 Forgetting that we try to keep our weekends free in September, we had scheduled a fencing lesson today for my son. 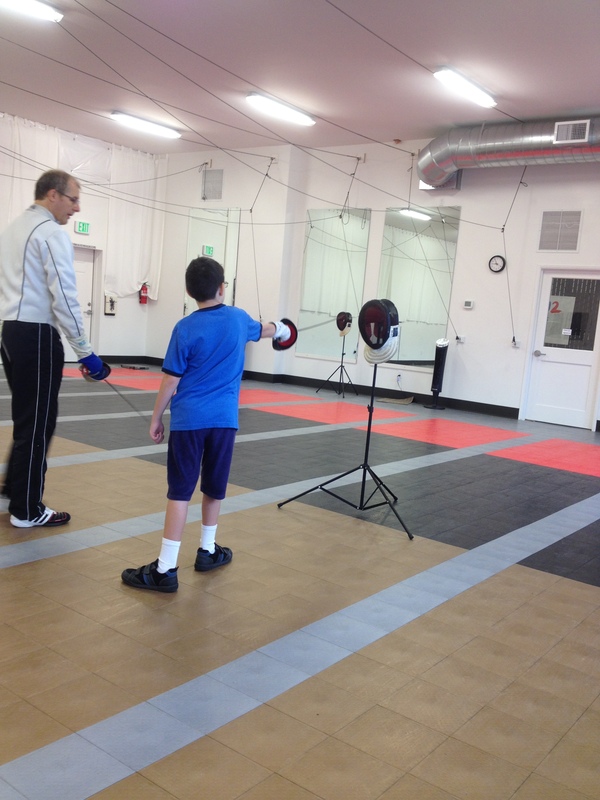 He had expressed interest in fencing and we knew that it was important to find something for him to practice and build skills, different from the always preferred video games. When we arrived at our class this morning, the instructor was immediately warm and inviting. My son was a bit nervous, but he listened and asked questions about the sport and the needed equipment. Quickly, my son was engaged and pushed himself even though he was tired and getting sore. The teacher acknowledged his feelings, but encouraged him to continue past his discomfort. I was very impressed with the instructor who switched the activities frequently, gave lots of praise, and redirected my son in a firm, but friendly manner. About half way through the lesson, another family came into the studio. They were very late for their lesson due to a flat tire. The boys began to shout and sword fight in the studio. I could see my son’s focus begin to fade and he became self-conscious about his actions and lack of experience. Not only did I see this, but the teacher did too. 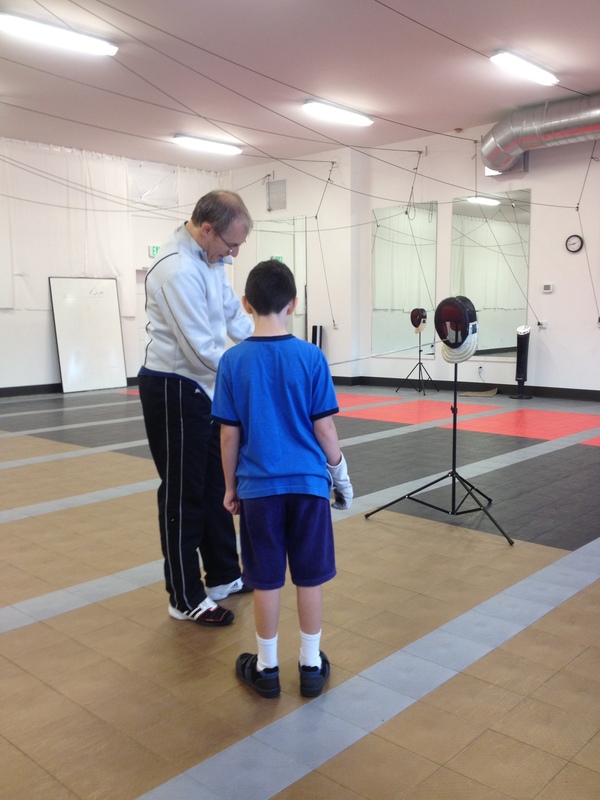 He instructed the students to move to a different part of the gym and he continued working with my son. In the past, that would have been the end. My son wouldn’t have been able to recover from that distraction, but today he excelled and practiced until the end of his allotted time. 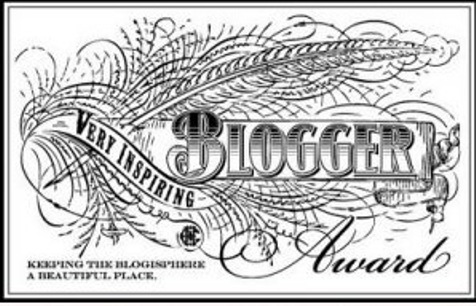 As we left, my TBP was obviously proud. 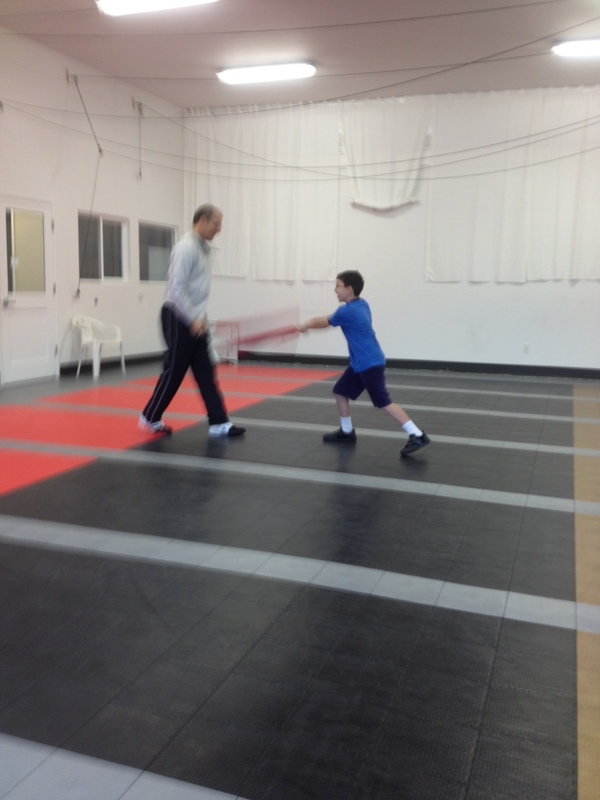 He expressed interest in more lessons and even showed me a few moves in the parking lot. That escaping thing was so annoying! The school didn’t understand how they were reinforcing his behaviors. I wonder if the adults(instructors) who get our kids so well like yours did today were once THAT kid. Perfect. An engaging physical sport which teaches balance, timing, distance…and speed of foot and hand. He will learn discipline and soon gain a warrior’s spirit (he will want to win more than the pain will distract him). What an instructor of sport wishes to see, more than anything else…is a child with a pure heart. He can teach him everything else he will need to know. With a pure heart…a child will be mastering the art with the right heart and mind. An instructor knows that he will eventually become assertive…but never aggressive. That is the gem of a child whom every true instructor wishes to help master his art. Your son has that pure heart. An instructor always feels blessed to have such a child in his class. He knows he will be able to help him to live a better life through the same path which had given him much joy in life. It is one of the things an instructor lives for. It all sprouts from chivalry…and the age, and way, of the sword. With extended and vigorous practice…I am sure your son will soon be learning to calm his body, and mind, in everyday life. So long as your son sticks with it…he will learn that it is in the training which shall teach him about the correct way to live life. Good for him for trying. Good for you for searching a way for him to blossom as a young man. It was a great scene to watch. He was focused, persistent & curious throughout the lesson. We were so proud and excited!